What exactly is heat pump SEER? The development of heating, ventilation and air conditioning industry has reached a level where efficiency of new equipment are required before they can be sold to the consumer. Manufacturers are developing more efficient units with the advancement of electronics control and compressor technology. DC inverter system which provides comfort and efficiency to the users are now being sold in the market. The Seasonal Energy Efficiency Ratio (SEER) is used to compare the efficiency of a unit to another. The newer equipment in the market these days have SEER of up to 16. The higher this number is, the more efficient the unit is. 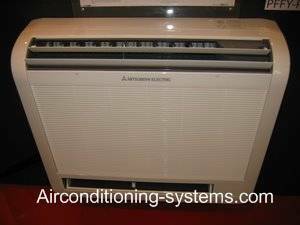 In the United States, all residential air conditioners sold must have a SEER rating of at least 13 since January 2006. The window units are exempted from this hence their SEER is still in the region of 10. If you are looking for a heat pump unit that is able to provide cooling during summer and heating during winter, always look for a higher SEER unit. You will do your bit to preserve the environment by using a more efficient unit by doing this. A Floor Standing or Ceiling Mounted Fan Coil Unit. The SEER is the total cooling outputs accomplished divided by the total electrical energy input used during this time. The unit of SEER is Btu/W.h. You can find the Watts Input, Cooling Capacity as well as the SEER information on the label which is usually a metal plate that is attached to the heat pump unit. If SEER is not provided, a simple calculation can be done. 1 ton of refrigeration is 12,000 Btu/hr.